Lycabettus Hill . . . . Not a name that rolls of the tongue. Even harder to remember. And certainly not as famous as the Acropolis. But when the name means “one that is walked by wolves”, the interest picks up a notch! 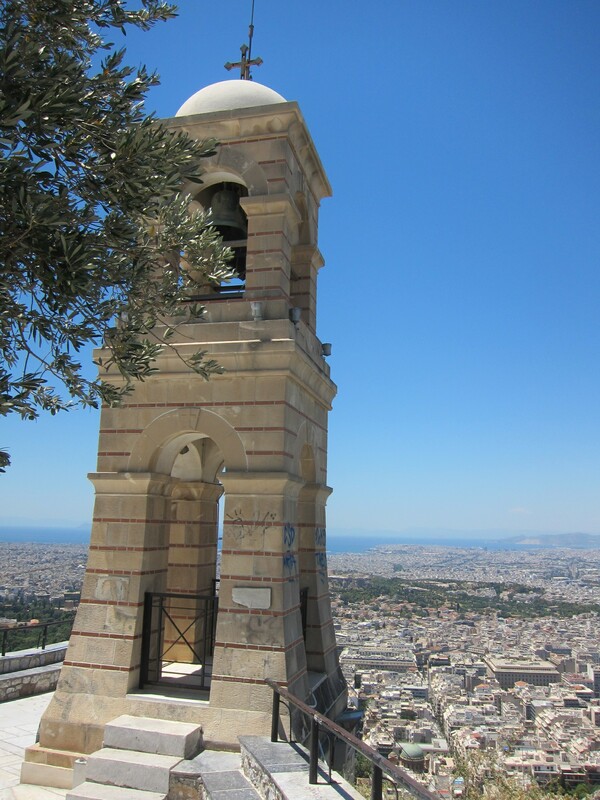 And then when it is also the highest point in Athens at 908 feet above sea level, it is well worth a visit. We’ve done a couple of hikes already on this trip (Hvar and Kotor), so what was one more? So, despite Angelo offering to drive us to a lookout point which is pretty good with no hiking involved, we decided that we HAD to do it. So, on a very hot day in Athens, we managed it. It was not as hard as the walls of Kotor but it certainly tested our determination. Bear in mind, after 2 weeks on holiday, we did end up carrying “excess baggage” on us. 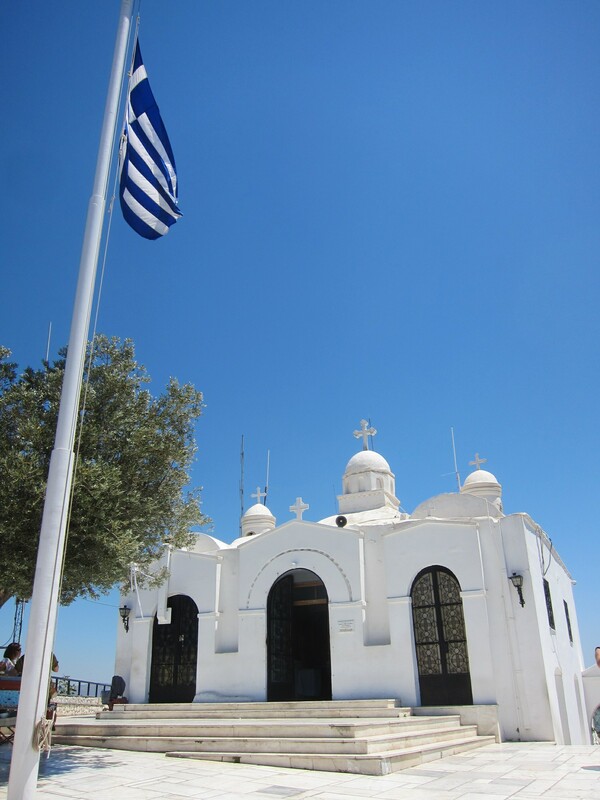 Rebuilt by a monk in 1834. Some thought he died on the hill when in fact, they found him living in the church quite happily! Here at the top you will find St George’s Chapel. There’s also a restaurant here but that was not what we came here for. 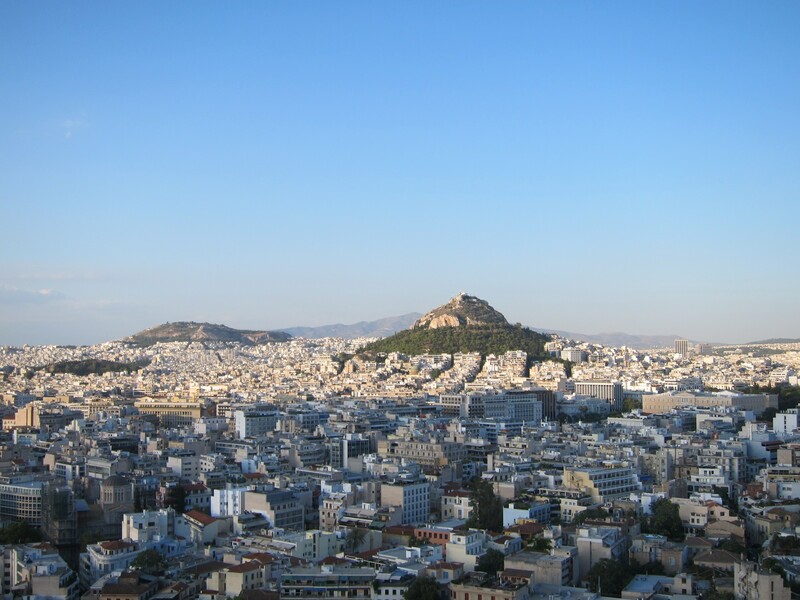 Lycabettus Hill can be seen from miles around in Athens. 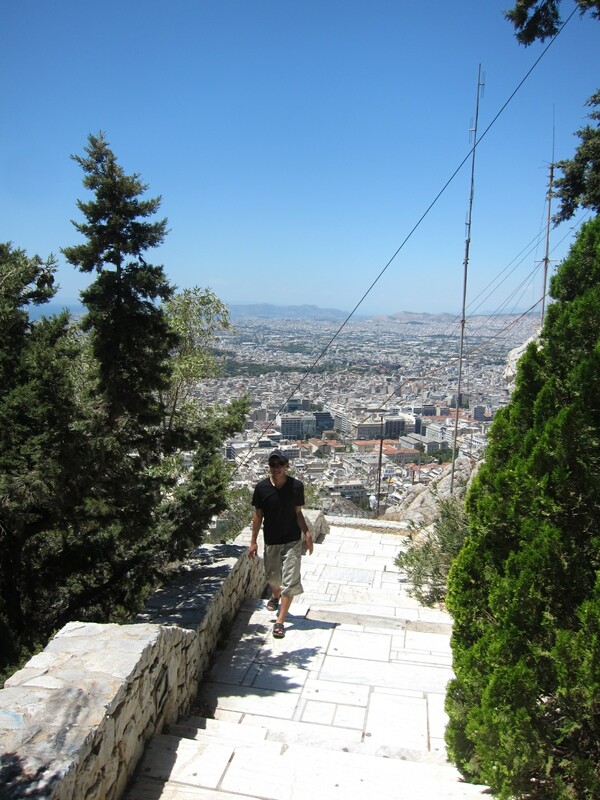 It is an interesting sight as other than the Acropolis, Lycabettus Hill stands out looking strangely out of place. Hence the popular story that as Athena was building Acropolis, she dropped the hill by accident! So there it stands to this day. No surprises then that the view here is pretty extraordinary. You can see for miles around. What got to me though was how dense Athens is. There was so very few spots of green with almost every square inch built over with housing. 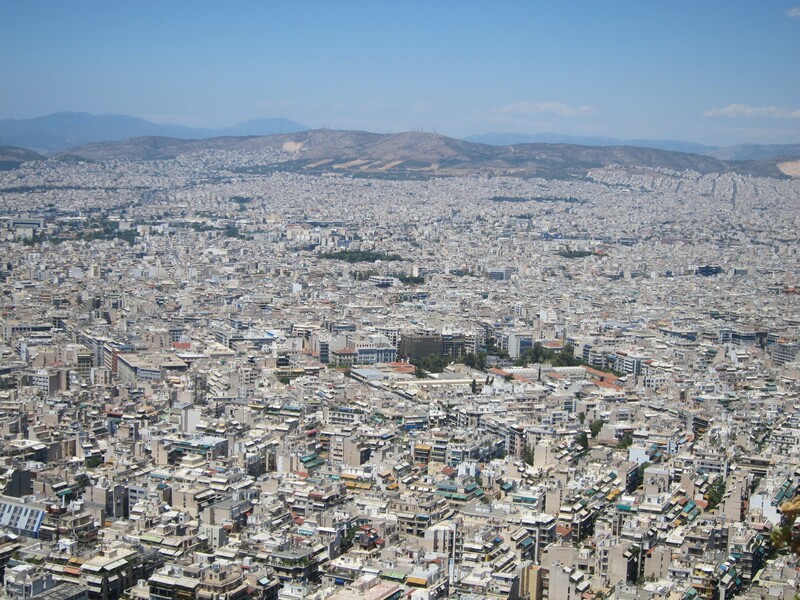 It is no wonder that Angelo keeps talking about Athens being overpopulated and stretched to its seams. A visit to Athens would not be complete without doing this so I would recommend it. And yes, it would be remiss for me not to mention that you can take funicular railway so there’s no excuses for missing this!